School’s out for summer and Cold Beers & Cheeseburgers, the fastest-growing brand of Square One Concepts is spreading the word on its fabulous Kids Menu, perfect for family staycation plans and delicious outings all summer long. In fact, Kids Eat FREE at the ‘Neighborhood Burger Joint’ at two of its four locations in metro Phoenix. Great Kids Deal Anytime– The Kids Menu at Cold Beers & Cheeseburgers packs a punch for only $6 featuring Cheeseburger Sliders, Chicken Tenders, Grilled Cheese, Mmmac & Cheese, among other items to choose from, a small drink and fries included. Cold Beers & Cheeseburgers will welcome a fifth location at 7th and Missouri, Phoenix, as well as a sixth location in San Diego later this summer in the Gaslamp Quarter, the first ever in California. Summertime season is soon upon us, and as school lets out, we invite families to include us in your next outing. Our family-friendly spots are the perfect stop whether en route to a cool movie theater or enjoying a staycation right here. We take great care to always deliver quality food and drinks at a big value,” said S. Barrett Rinzler, president, founder & CEO of Square One Concepts. 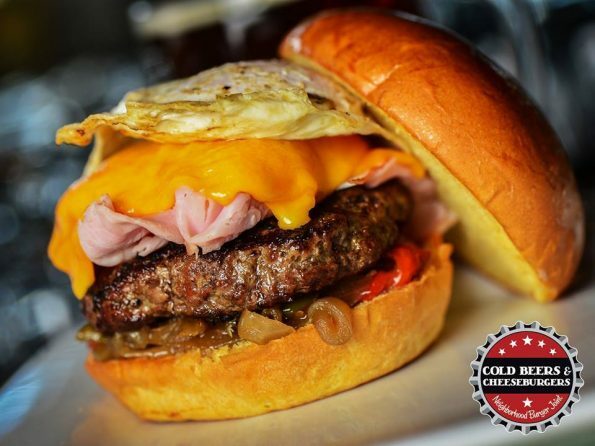 Cold Beers & Cheeseburgers is known for its award-winning never frozen, hand-formed, half-pound burgers of ground chuck with a vast variety of options (Juicy Lucy, Pittsburger, Steakhouse Truffle, among many others), and readily customizable burgers. Their large collection of beers — the favorites to the obscure — keep the brew offerings an ongoing adventure. And, with five options for “Mmmac & Cheese;” popular sides such as tater tots and sweet tots; four varieties of sliders; a salad selection, and more, it’s a menu that keeps on giving. Every Day Ice Cold Beer Buckets. “Buy 6, Save $6;” “Buy 12, Save $12.” Fans can mix and match from a selection of 100 canned and bottled beers.